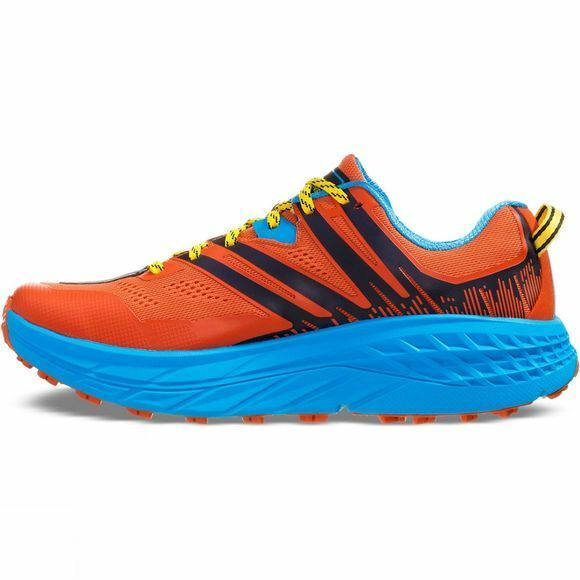 Inspired by Karl Meltzer, who holds the record for the most 100-mile trail race wins, the fastest completion of the (2,190 mile) Appalachian Trail, and epitomises the "go everywhere, run everything" attitude, this shoe is designed to attack all breeds of technical trail. 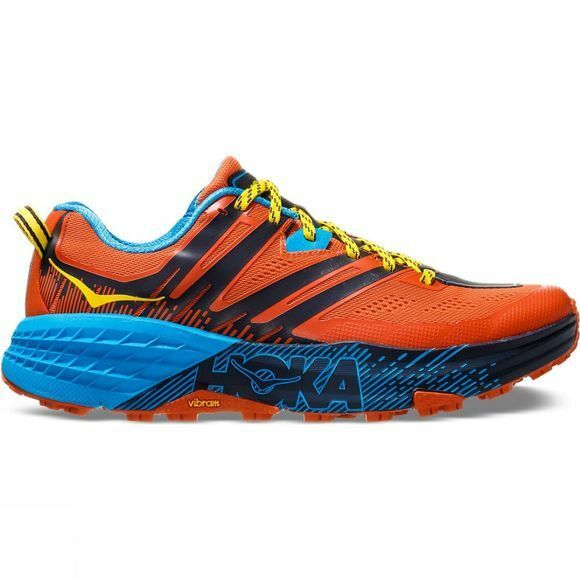 With this bold, fully redesigned reiteration, HOKA have improved fit, stability and durability. Built on a new last, the wider midsole creates a more stable platform for the foot and offers a wider toe box with reinforced areas where your feet need them. The outsole features Vibram lugs (up to 5mm) which holds up to all kinds of rugged terrain, while the upper offers an improved comfort up top. The Speedgoat 3 is a fast, durable running trail shoe.